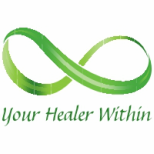 Welcome to Your Healer Within. My Name is Leeann Webster and I am very passionate about health, healing, movement and wellness. I offer Group Yoga Classes, Private Yoga Sessions, and Bowen Therapy treatments in Summerland, British Columbia Canada. Thank you for coming!